This week’s #VolunteerVoices comes from Tyrel Nelson a Leader-in-Training for Global Citizens Network. The young woman behind the counter returns my list. “¿Algo más?” she asks. She pulls out a calculator and contemplates the pile of groceries in front of her. While she punches away, the post-trip expense report strikes the forefront of my mind. The girl eventually reveals the total, and I respond with the dreaded question: “¿Me puede dar un recibo?” Can you give me a receipt? Her wide eyes are nothing new. I’ve already made several supply runs for our Global Citizens Network team —visiting tiny tiendas in Xecam (Shay-com) and neighboring La Estancia—and every store clerk has had the same confused look. I’ve picked up that no one in the highlands has this expectation, let alone a cash register to do the job for them. So the slips are handwritten, probably another reason why the Guatemalans haven’t offered me a receipt prior to my asking. Without hesitation, however, the lady slaps a spiral notebook on the glass and opens it to a clean sheet. She begins a detailed bill, pricing out every single product. I tell her she can just write “abarrotes” (groceries), the total due, the date, and her signature. She ignores me. She’s a half page in when I try to end it once again. She smiles. Her autograph reaches the bottom edge a couple minutes later. But before she tears the paper from the notebook, she returns to her calculator, carefully reentering the numbers to ensure the sum hasn’t changed. I finally unfold a wad of quetzals and hand it to her. She hands me my change along with her masterpiece. “Este es el mejor recibo que he recibido,” I answer, smirking because the phrase sounds funny while I utter it. This is the best receipt that I have received. I’m not sure if she finds my statement as humorous as I do, but she sports an ear-to-ear grin nonetheless. As a Leader-in-Training, I had to keep my head on a swivel for twelve days. Therefore, it didn’t take me long to realize that everybody knew each other in Xecam. I actually discovered the next day that the lady in the store was Apolonia, daughter of Nicolasa, whose house in which four of us stayed during our time in the village. And Nicolasa, along with her mother and sisters, graciously prepared the meals for our entire group. But it wasn’t just these women who treated us so kindly. I took in how everyone we met in the community took us in. Whether it was through exchanging pleasantries with passersby or swapping smiles with a local, our hosts made us—ten foreigners from different parts of the U.S. and Canada—feel welcome. I was reminded that a “community” can extend beyond borders from this experience, an experience I already find myself missing. Now Accepting Applications for AYUDA 2016 Summer Programs! 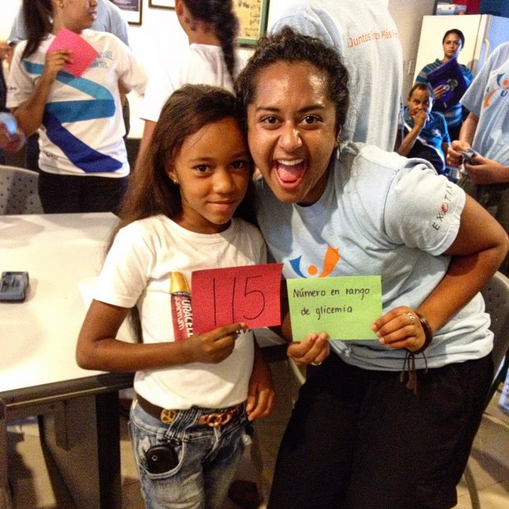 Multiple Locations, Dominican Republic: Introducing a brand new volunteer summer program! This program is aimed at those who want to combine diabetes outreach with a love travel and exploration. Come “on the road” with AYUDA and Aprendiendo a Vivir (AAV) and get to know the Dominican Republic while making a difference in the diabetes community. Since our hallmark program Campo Amigo Dominicano is based in Santo Domingo, it cannot serve everybody around the country. AAV has requested that AYUDA work with them on a pilot program to take the educational and empowerment experience of camp to other provinces. 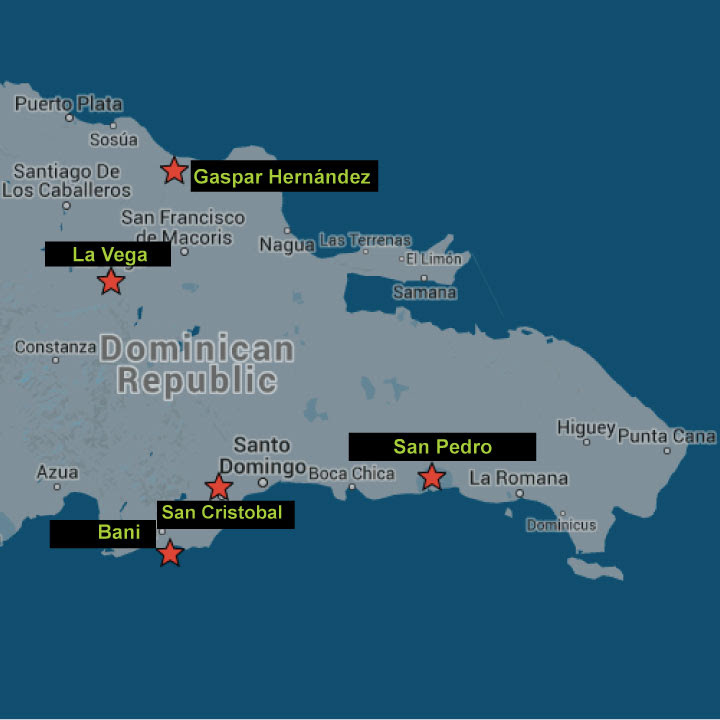 Volunteers will travel with local Dominican youth leaders, representatives of AAV, and AYUDA staff members to the following provinces/cities to run day-long educational outreach and local capacity-building programs: San Cristobal, Baní, La Vega, Gaspar Hernández, and San Pedro. Volunteers will have the opportunity to learn from people living with type 1 and type 2 diabetes and help provide them with the tools that motivate them to live happier, healthier lives. 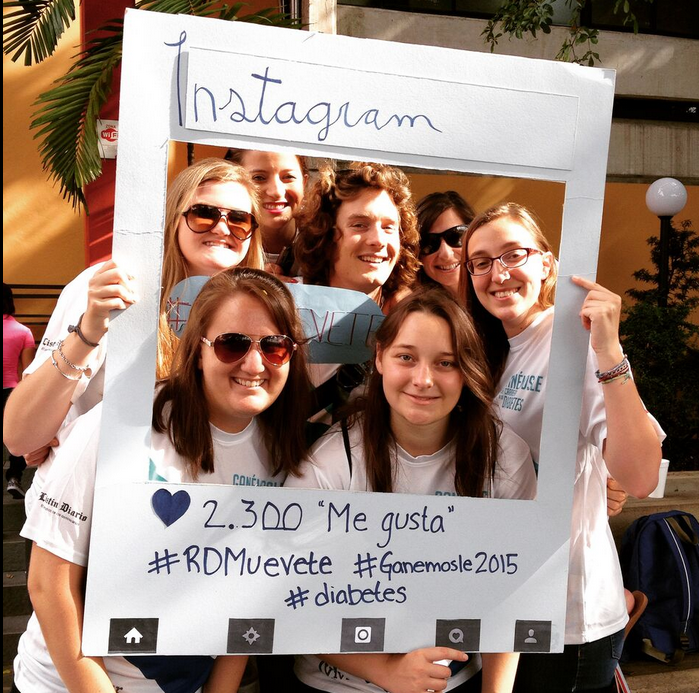 Santo Domingo, Dominican Republic: Volunteers will support AYUDA’s partner organization AAV in their national diabetes prevention and exercise campaign “Ganémosle la Carrera a la diabetes” (Let’s beat diabetes campaign!) and fitness event. The event includes a 10K run, a 5k Run/Walk and a mini-camp for youth living with type 1 diabetes. Click here to see the 2015 video. In this busy 10-day program, volunteers, led by AYUDA staff, will gain hands-on experience working on a national grassroots diabetes public awareness campaign. Volunteers will participate in diabetes outreach activities that include visits to schools, gyms, parks, and local media outlets.Those with an interest in fitness, health education and media and communications are encouraged to apply! 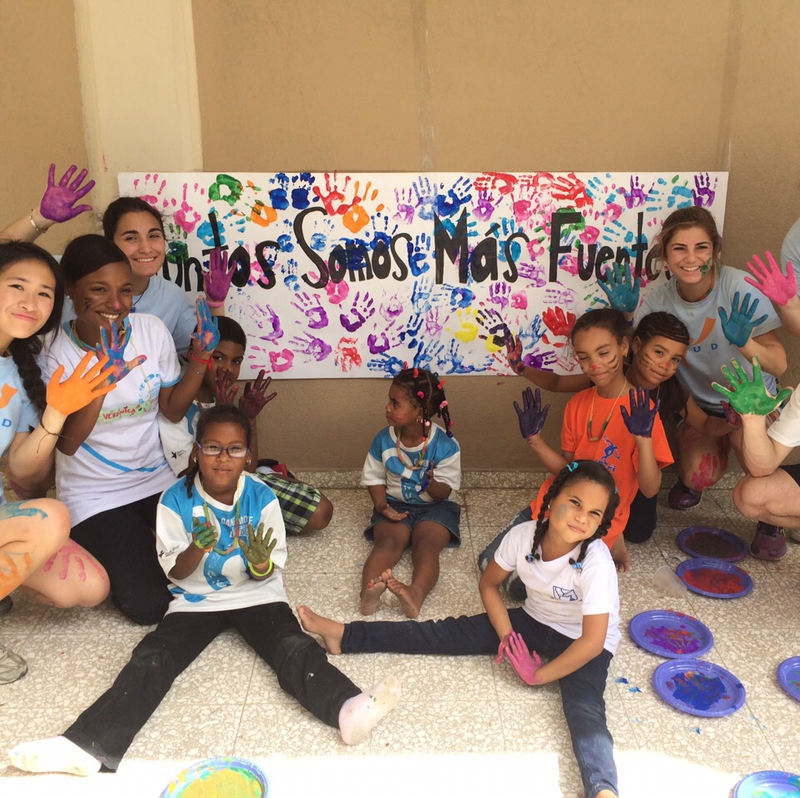 Santo Domingo, Dominican Republic: In this intensive program, volunteers will collaborate with AYUDA’s partner organization AAV. 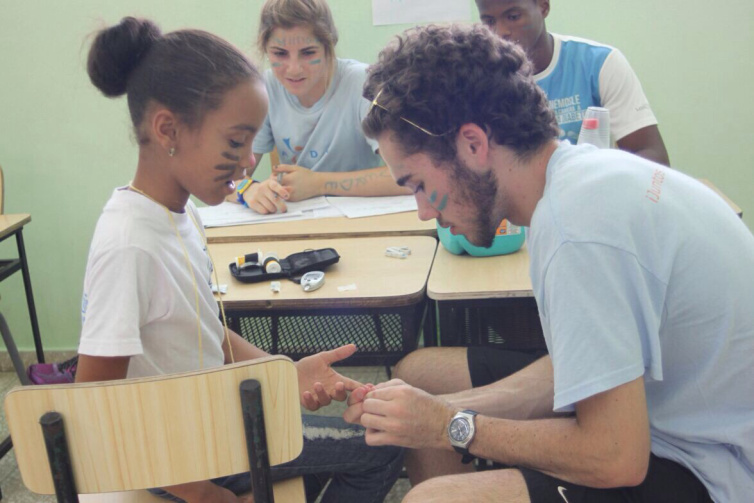 Volunteers, led by AYUDA staff, will work closely with AAV local staff, medical students and rising Dominican youth leaders to plan and implement community outreach projects. These projects will motivate and support young people living with type 1 diabetes, as well as their families. The 3 week program will culminate with the 9th annual weekend family diabetes camp, Campo Amigo Dominicano, where volunteers will work with local AAV youth leaders to serve as counselors and camp staff. Check out our Volunteer Blogs and Social Media Recap to learn more about the programs in 2015. Are you ready to become an agent of change? AYUDA is unique because we are committed to empowering our volunteers to become agents of social change. We combine an intensive training program, beginning the moment a volunteer is accepted into our program, with an impactful in-country experience. Therefore, qualified volunteers must have a multicultural outlook, be passionate and energetic team players, and most importantly must be adaptable. Please note! Interested volunteers are welcome to apply to more than 1 program. Qualified volunteers selected to participate in combined programs (2 or 3 programs) will have reduced fundraising commitments ($2,000 less for 3 programs and $1,000 less for 2 combined programs). Early Application Deadline is October 25th, 2015! Please click here or visit www.ayudainc.net to apply today! If you have any questions please do not hesitate to contact our Director of Volunteers, Stephanie Boyle, at sboyle@ayudainc.net. Juntos somos más Fuertes! Together we are Stronger! This week’s Volunteer Voices comes from Will Epperson, a volunteer with AYUDA. By now I have the routine memorized. Measure out the amount of insulin in air in the syringe. Insert air into insulin vial. Withdraw insulin. Inject. Count to 10. Withdraw syringe. 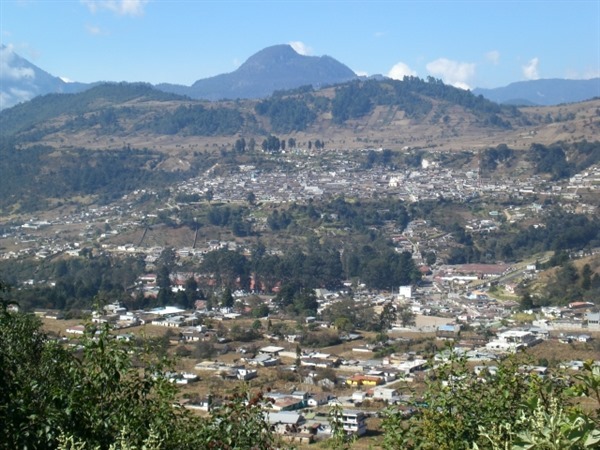 But as I run through these steps in my mind while I prepare to give my first insulin shot to someone else in the town of San Pedro, they become much more complicated than a simple checklist. I have been putting my own pump sites in for years, but injecting someone else with insulin—in Spanish—requires a whole new level of diabetes management skills. My journey to the Dominican Republic with AYUDA Inc. was filled with moments like these. I learned about how to administer insulin injections to other people (in Spanish), how to check others blood sugars (in Spanish), how to navigate Dominican culture, and even how to speak a little Spanish. I was surrounded by smart, motivated people who genuinely wanted to make a change for the good. The majority of our time in the Dominican Republic was spent in the capitol city of Santo Domingo. We lived here, ate here, taught here, and learned here and by the end I felt I had a very deep knowledge of the city. Many of the kids that we worked with were from Santo Domingo but some were from other towns that were over an hour away. The first week in country was spent planning for camp that weekend and getting to know each other and the local volunteers from (AAV). We had multiple meetings with Tía Sandra, one of the leaders of AAV to discuss planning activities for camp and the theme of camp: Puedo Ser. In English, this means “I can be” and served as our guiding principle at the camps. We wanted to convey how living with diabetes is only a part of ones life and does not hinder someone from being whatever they want to be. The first weekend we only had camp one day for Día de la Familia, or family day. We did different activities like freeze tag with blood sugar ranges or a role reversal where the kids checked their parents’ blood sugars. We were surprised that many of the kids already had exposure to much of what we were teaching them but they were all eager to learn more and refine their knowledge. After activities and before lunch we would gather the campers to check blood sugars or glicemias and do insulin injections. I was working in Grupo Verde so we had the youngest campers. At first I though that it would be easier to communicate with the youngest kids since my Spanish is probably most on par with that of a 3rd grader. However, this proved not to be the case. Despite our communication barrier, I loved getting to know the campers both at this first weekend of camp and the second weekend. They particularly loved when we would give them piggy back rides and then race back and forth on the basketball court. The Monday after our first camp day we were able to take a day trip to the beach to relax after camp the day before. The rest of the week was spent planning for camp and doing outreach. Our first outreach day was to San Cristobol, a mountainous town about 45 minutes away from Santo Domingo. 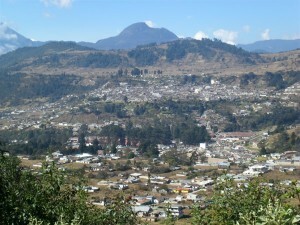 The town has dirt roads and mostly tin houses. We were traveling there to meet the locals with diabetes and to introduce ourselves. It was incredible how excited everyone was to meet us. Many of the locals had been waiting at the clinic all morning for our arrival. Once there, we checked glicemias and then got to know each of the locals. The next day, we went to San Pedro to do another day of outreach. At San Pedro, we set up in the parking lot of a local hospital to host a workshop about diabetes with some of the local patients. I was in the exercise group so we taught about the benefits of exercise for maintaining healthy glucose levels. It was a refreshing change of pace from working with the kids the weekend before. After we finished with outreach we spent the rest of the week planning for camp, making posters, and learning the camp dances. The second weekend is when we had our big camp session, with camp on both Saturday and Sunday. It was a fun-filled weekend full of water balloons, dancing, chaos, and learning. One of the most memorable experiences of the program was at the end of the day on Sunday as camp was drawing to a close. All of the volunteers lined up in a big semi-circle and the campers and their families came up and thanked each of us. I was thanked by some people who I had never seen before nor spoken to. It really showed me how much it meant to the campers that we were there to help teach them about how to live with diabetes. AYUDA has positively impacted my life on numerous levels. It has given me the opportunity to help others learn about a condition that I have personally lived with for numerous years and create positive change in their lives. It has given me the opportunity to immerse myself in a foreign culture with incredible people. And it has allowed me to connect with smart, driven, and cool people from across the country. AYUDA had been a very memorable experience and I hope to stay involved with the organization for many years to come. Lastly, thank you to everyone that donated to my fundraising for AYUDA! Thank you for making this opportunity possible for me and it is thanks to you that AYUDA can continue doing the work that we do. To learn more about AYUDA click here.